Capitol Hill Productivity Slides Downward -- But Who is doing the sliding? Sometimes less is more! Are we going for quantity or quality? 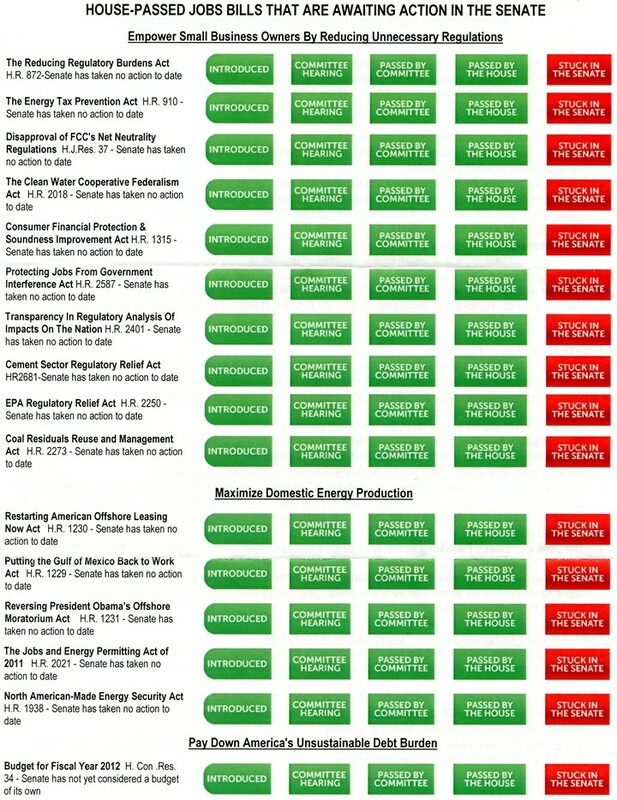 The following chart shows the major work that the Republican Congress has done to improve the economy and empower private industry to create real jobs. Harry Reid and Democrats in the Senate have not even considered these bills. It's clearly the Democrat Senate whose productivity is sliding downward! Thank You Congressman Robert Hurt for your major contributions to this outstanding work product!